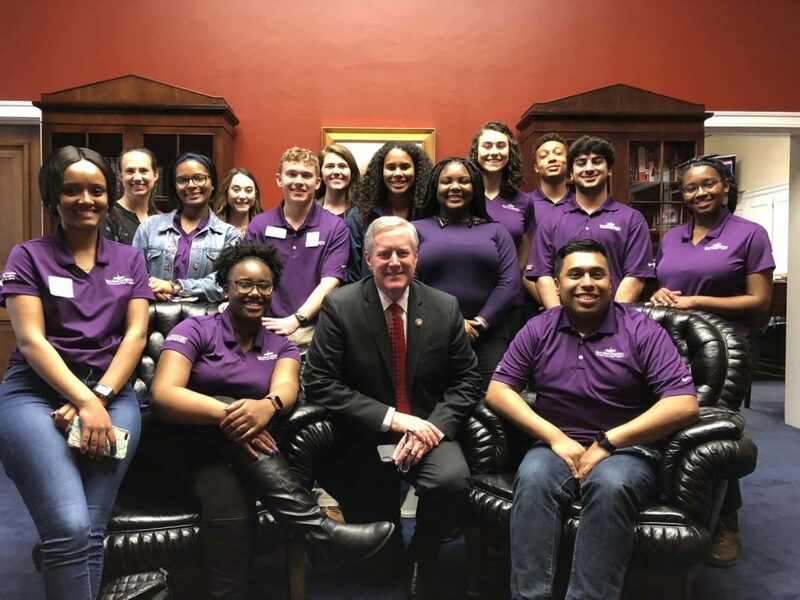 High Point University Bonner Leaders participated in service during spring break in Washington, D.C. During the trip, they toured the Capitol and met with U.S. Rep. Mark Meadows. 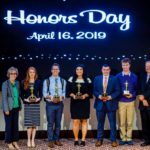 HIGH POINT, N.C., March 15, 2019 – The High Point University Bonner Leaders spent their spring break in the nation’s capital participating in community service. 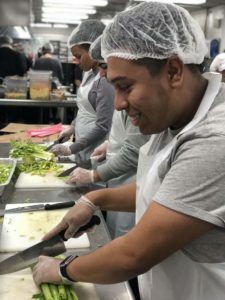 HPU’s Japheth Soto helps prepare meals with other Bonners at D.C. Central Kitchen. As part of the trip for first-year HPU Bonners, the students prepared and served meals in the D.C. Central Kitchen. This community kitchen targets the cycle of hunger and poverty. Bonners also toured the Capitol and met with U.S. Rep. Mark Meadows. They also toured the White House, the World Bank and Christ House, which assists men experiencing homelessness. 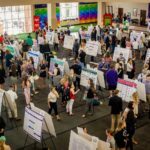 The Bonner Foundation builds sustained partnerships with colleges and universities to foster the deep integration of college access, diversity and inclusion, and student success with community engagement and learning. 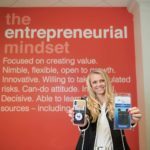 HPU Bonner Leaders are embedded in the community to support an assigned nonprofit organization, making them a familiar face around the city.